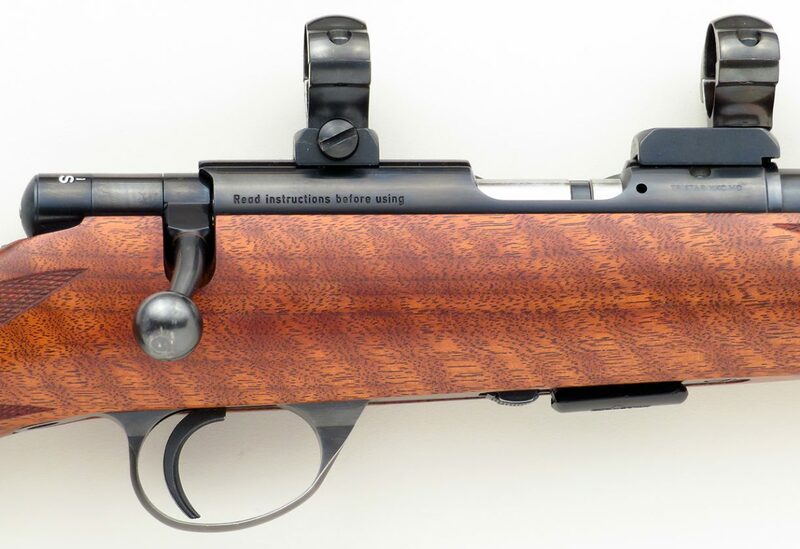 Anschutz / Cooper .22 LR, 1710 action, Cooper AAA-claro walnut, 1990s, rare, 97% - Sportsman's Legacy, Fine firearms, related books and sporting collectibles. Representing estates, collectors and nonprofit conservation organizations. 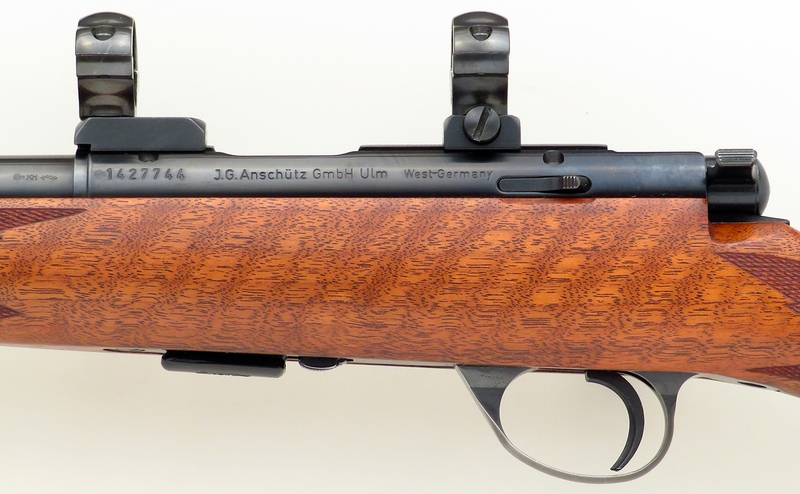 Anschutz Model 1710 .22 LR stocked by Cooper Arms. 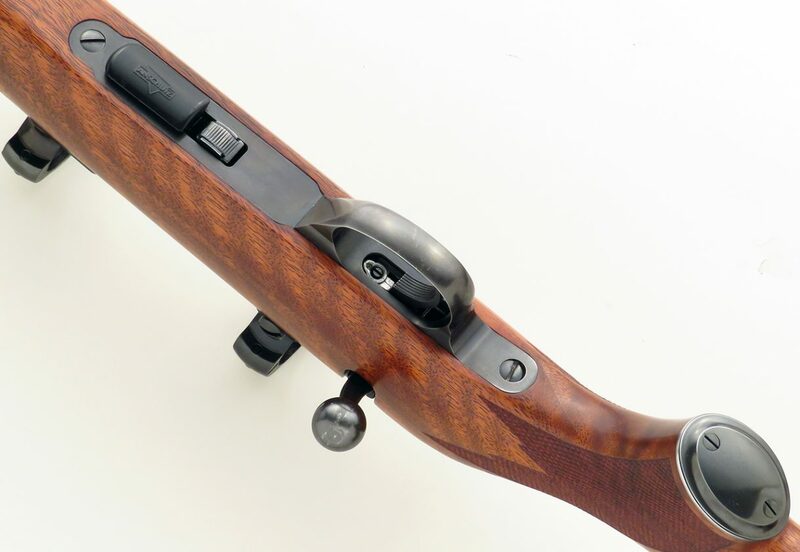 For a brief period in the mid-90s, Cooper purchased Anschutz barreled actions and stocked them in the American classic format. Depending on who’s telling the story, somewhere in the neighborhood of 200 of these rifles were made in rimfire, plus a few more in centerfire. 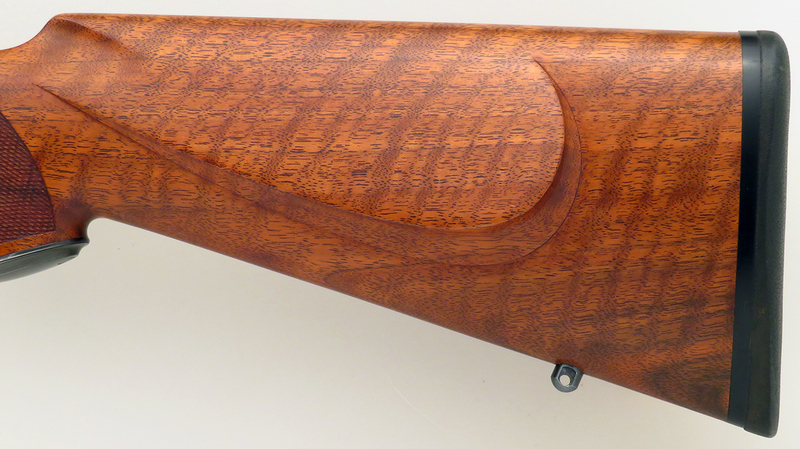 They’re rare to the market, given a shooter’s understandable reluctance to part with something this special, and most owner’s have a waiting list of eager buyers. 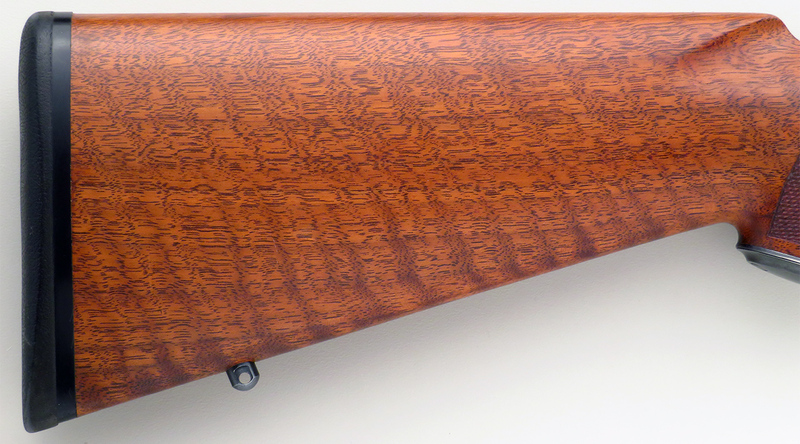 This rifle, serial number 1427744, has the 23-inch plain barrel and dovetailed receiver expected on a 1710. 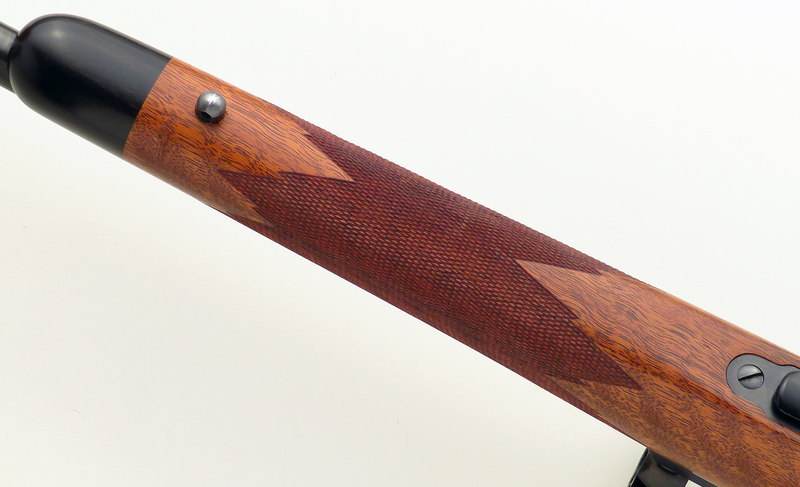 Stocked in AAA-claro with stout, full-length fiddle, the wood is dressed to impress with an ebony forend tip, 24 lines-per-inch wrap checkering, steel grip cap and a nicely scalloped cheekpiece with shadow line. DIMENSIONS: Weight is 7.4 pounds with mounts and the length-of-pull is 13.85 inches. CONDITION: Bore is bright and shiny. Metal finish is 97%, with slight indications of field use and light thinning on the guard and knob. Wood finish is nearly pristine and integrity is about 96%, as there are several smaller impressions scattered about. INCLUSIONS: Two five-round magazines, one single-load platform and a Jones bore guide.